I love lighting (specifically LED's) and furniture. Why not make a side table that also serves as bedside lighting? I got these maple planks for free from somebody moving out and getting rid of his bed. 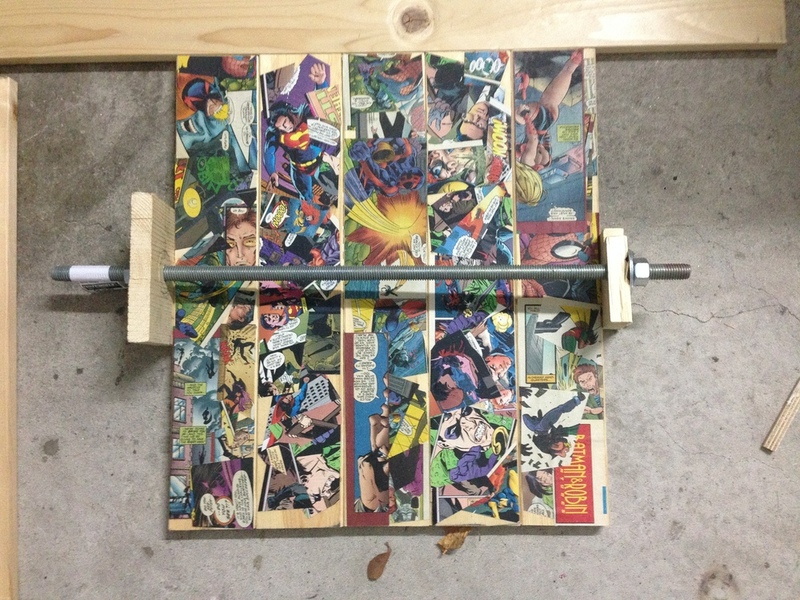 I used gel medium to adhere some comic book cutouts to the surface, and used wood screws and wood glue to construct the table. I added LED strip lighting to the underside of the table so it doesn't glare in your eyes, and wired them to a switch and a 12V adapter.